New technologies, new partners, new commitment: In recent months, Porsche has invested in various start-ups - including "Miles". Now the sports car manufacturer has even increased its investment in the Californian company. The Porsche Newsroom provides an overview of activities around the globe. The current transformations in the automotive industry demand new approaches. Porsche has therefore increased its investment total for corporate venture capital activities by 150 million euros. The goal of “Porsche Ventures” is to ensure access to trends, new technologies and new business models through participations in start-ups. The sports car manufacturer has already found a large number of new partners in recent months – and has invested in interesting start-ups. Porsche is concentrating on investments relating to the topics of customer experience, mobility and digital lifestyle, with the focus on future technologies such as artificial intelligence, blockchain as well as virtual and augmented reality. The different participations last year have one thing in common: they open the door to new technologies and business models. The most recent participation by Porsche is an investment in artificial intelligence (AI): The American start-up Urgent.ly sees itself as the leading global platform for mobility and roadside assistance in North America, Europe and Asia. With the help of AI and geolocalisation, Urgent.ly connects car drivers, service providers and car manufacturers in real time and thus coordinates the best and fastest assistance in the event of a breakdown. This means that affected customers have transparency that is accurate to the second about the location and probable arrival time of the called breakdown service. More than half of all roadside assistance providers are already connected to the platform in the USA. Porsche invested in the Berlin-based start-up Gapless last September. Gapless allows digital management of classic vehicles and their entire history. This data can then also be shared with other users in a forgery-proof way. This complete documentation is designed to maintain or increase the value of collectible vehicles. For this purpose, the start-up is developing a solution based on blockchain technology, which permits secure encryption of the data records. 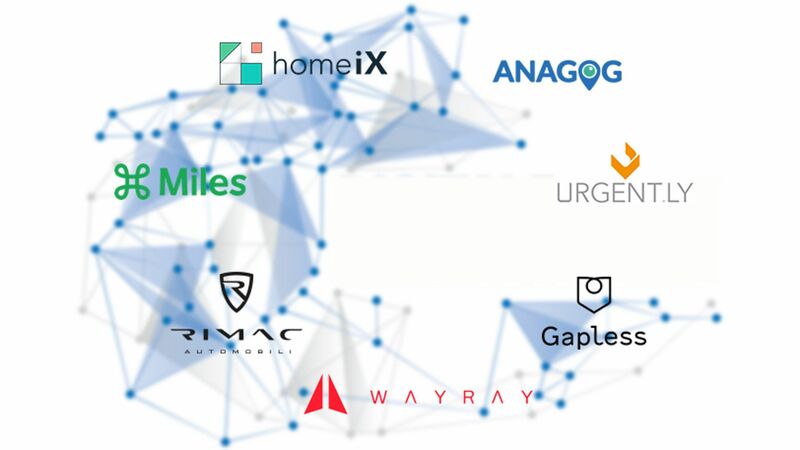 Porsche became a strategic lead investor in WayRay in September 2018. This start-up from Zurich develops and produces holographic augmented reality head-up display technologies, and is working on the ability to seamlessly integrate virtual objects into the driving experience. Compared with conventional head-up displays, WayRay offers a much smaller projection system that can be installed in every vehicle – independently of the interior design. The technology is being tested for both driver and front passenger. It therefore has the potential for new concepts in the context of highly automated driving. Porsche announced its participation in the US start-up Miles in July 2018. Based in Silicon Valley in San Jose, California, it is launching the first smartphone-based rewards programme for all forms of mobility. The digital platform is designed for multi-modal travel with different means of transport and is based on artificial intelligence. Miles makes it possible to better understand customer needs in relation to their journey and therefore allows mobility behaviour to be anticipated early on. A follow-on investment was made in April 2019. Porsche acquired a ten-percent share in the technology and sports car company Rimac Automobili in June 2018. The Croatian company develops and produces components for electromobility and also manufactures electric super sports cars itself. The main focus areas of Rimac are high-voltage battery technology, electric drives and development of digital human-machine interfaces (HMI). The fast-growing company is headquartered in Zagreb. Porsche has agreed a development partnership with Rimac as part of its participation. Porsche acquired a minority share in the Israeli company Anagog in April last year. The start-up was founded in 2010 and is based in Tel Aviv. It specialises in development of artificial intelligence in the mobility context. The SDK solution programmed and patented by Anagog makes it possible to understand and predict mobility behaviour via smartphone-based artificial intelligence. For this purpose, sensor data is evaluated and translated into a mobility status via algorithms. Data analysis takes place directly on the mobile device and therefore does not require transfer of sensitive user data to the cloud. Porsche has also owned a share in the Stuttgart-based technology company home-iX since September 2017. The B2B start-up, which is specialised in smart living, was founded in 2016 by two former Porsche employees. It allows companies to offer customised smart living solutions by networking devices independently of manufacturer or transmission standard, thus defining new business models. The American company sees itself as the leading global platform for mobility and roadside assistance. The company is launching the first smartphone-based rewards programme for all forms of travel.